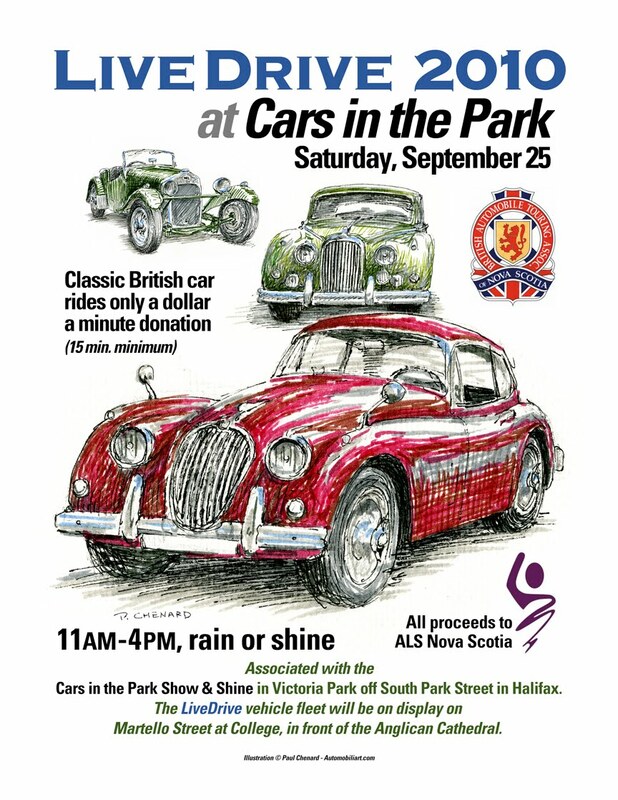 I designed this poster using my illustrations to promote a fundraising event for the ALS Society. 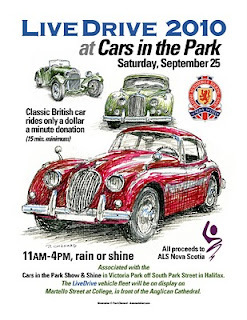 The event is organized by the British Automobile Touring Association of Nova Scotia and run by volunteers. I did these illustrations at the British Motoring Festival; they represent a 1937 HRG, a Jaguar Mk IX sedan, and a Jaguar XK150 FHC. Great events like this should always be supported!